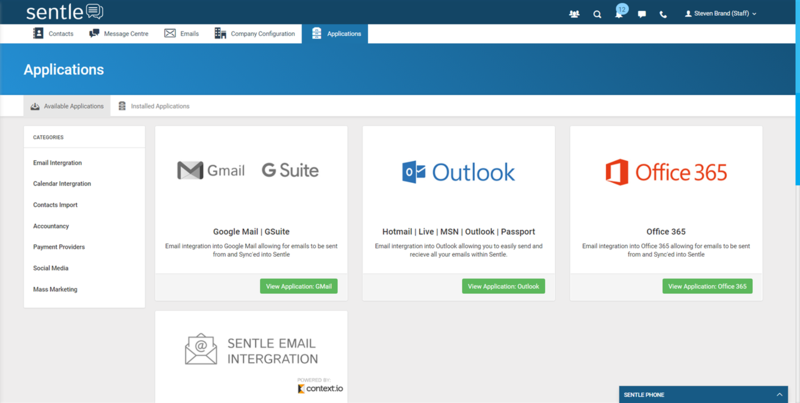 Sentle allows you to integrate directly with your Gmail account, allowing for all email to sent from Sentle, with emails to known contacts being stored against their activity history. 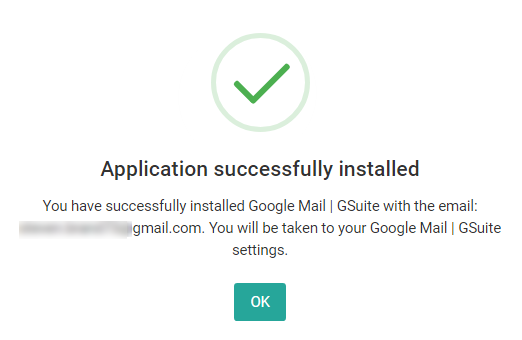 This guide will take you through the steps required to set up Gmail so you can start sending and receiving emails through Sentle. Authenticate: After selecting the ‘view Application: Gmail’ button you will be presented with the following window where you will be asked to ‘Authenticate with Google Mail | GSuite’ Press this button to continue. 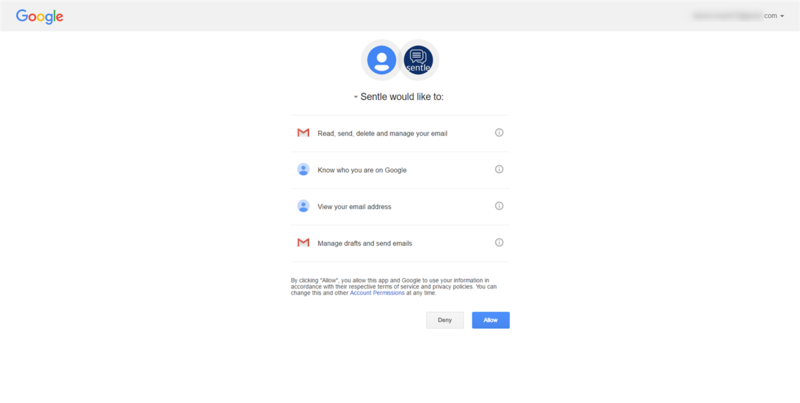 Allow: On the next screen you will be asked to allow Sentle to access and manage your Gmail account. Select ’allow’ to continue the integration. 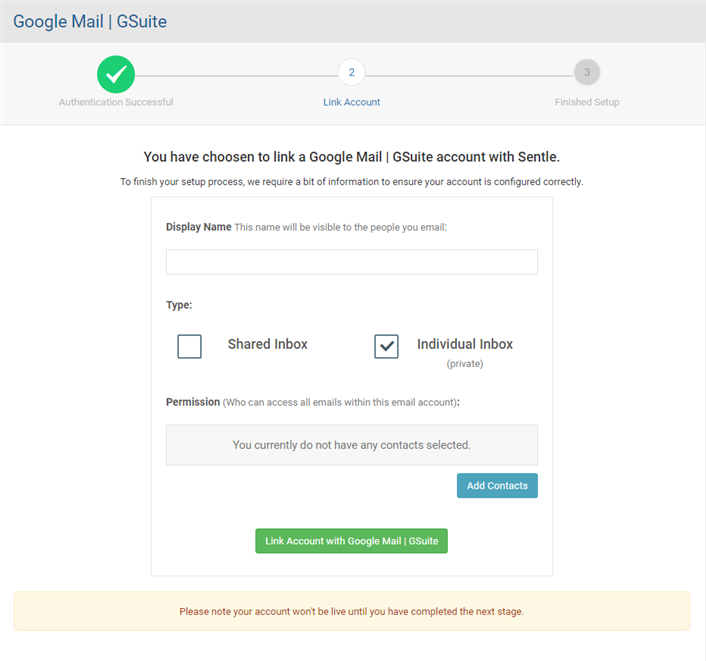 With authentication complete, you'll see the following screen where you are able to choose which Gmail account you are integrating into Sentle. The choices are 'Your', 'Colleagues' or 'Shared' email account depending on your preference. You are also able to set permissions to give staff access via the normal contact search mechanism. NOTE: Only Sentle staff will show up in this search. Press ‘Link Account with Gmail’ to continue. Congratulations! You are all set up and good to start using email through Sentle. Please refer to the other email articles to start getting the best out of your Sentle emails integration.